I received this book for free from the author. This book was sent to me through Bostick Communications. This author sent me this book in exchange for an honest review. 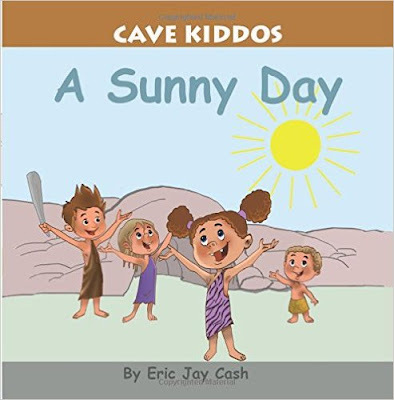 Synopsis: Cave Kiddo's is a fun book about four paleolithic children who share the experience of developing and learning important words and concepts. Review: I would like to thank the author for entrusting a copy of this book to me for review. This is an effective way of teaching young children new words. This book teaches children how to spell and pronounce the word "water". I will be keeping this book in my collection for the time comes that I have children so that I can teach them about words and concepts in a fun and interesting way. This will appeal to kids are there is lots are illustrations and not a whole bunch of text. There is not to much going on in this book so children will find it easier to take information in. I would recommend this book to any parent that likes to read to their children but also to anyone with children in their family (brothers, sisters, nieces, nephews, cousins).